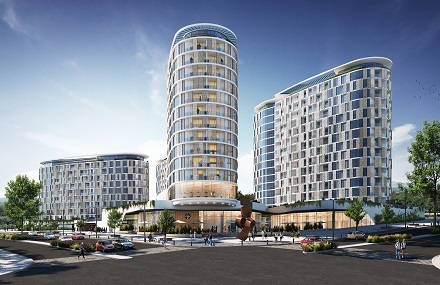 JSE listed Attacq Limited (Attacq) in collaboration with JV partner Tricolt, announced today that phase one of Ellipse Waterfall, the first high-rise residential development within Waterfall City is selling fast, with sales totalling R420m in the first week. Since announcing the new residential development in early October, the market has been abuzz with excitement of the new offering. Ellipse Waterfall, which will be situated in the heart of Gauteng’s newest business node, has surprised many industry pundits by selling over 65% of the available units in a little over week. “This achievement speaks to Ellipse Waterfall’s unique value proposition. Its strategic location, pristine surroundings and world class amenities, make Ellipse Waterfall a no brainer for discerning investors,” says Tim Kloeck, Chief Executive Officer of Tricolt. The development is comprised of four towers, the Newton, Kepler, Da Vinci and Galileo, totalling 590 apartments. With the first phase, consisting of two of four towers set to be completed by 2021. “Unlike other mixed used developments that are fast running out of space or building on top of decaying infrastructure, Waterfall City is essentially brand new. Its buildings, roads and infrastructure are built to the highest quality and its strategic location at the crossroad of the province’s major transport routes makes investing here a smart long-term decision,” says Giles Pendleton, Head of Development at Attacq. Prospective buyers are able to select from executive one-bedroom apartments (starting from 45m²) to flagship three-bedroom duplex penthouses, offering up to 327m² of living space, including private rooftop gardens and heated pools. “With prices ranging from R1.49 million to R12 million, Ellipse has broad investor appeal. Be it to first time buyers looking to get a taste of the property market, or to the more affluent buyer, drawn to Waterfall’s premium lifestyle offering, both sets of investors are guaranteed steady capital growth and rental income,” adds Kloeck. 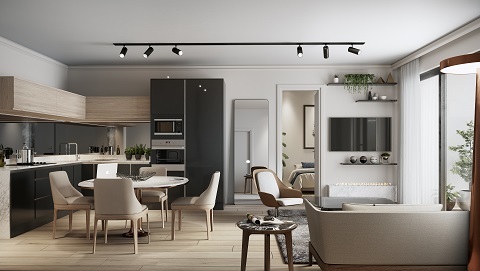 Melt Hamman, Chief Executive Officer of Attacq, believes that the demand for apartment living in Waterfall will be supported by the ongoing commercial expansion of the node. “With various blue-chip firms taking up residency within Waterfall City, such as PwC, Accenture and Deloitte, there is a growing need for us to expand our residential offering. Ellipse Waterfall is the first step towards meeting that demand,” concludes Hamman.